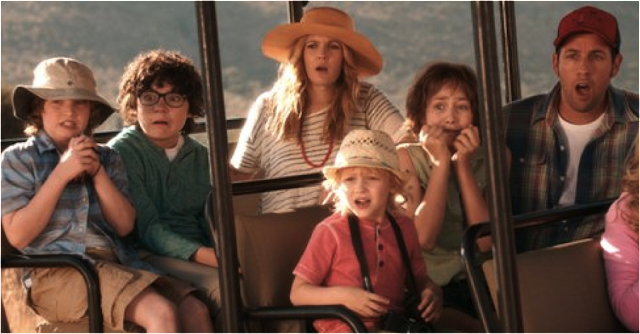 The Diaries of a Glam Mama: Newsflash: Blended families are still "real" families! Newsflash: Blended families are still "real" families! 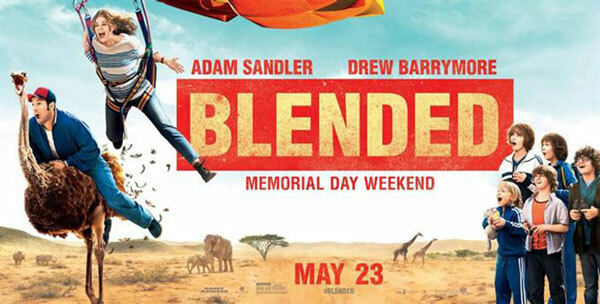 Blended is probably one of my all-time favorite movies, hahaha. Source: CinemaBlend. A few days ago, two people very close to me were discussing friends of theirs. They mentioned that "they don't have kids, not real ones at least", which confused me (do they have imaginary kids? What new trend is this?!). Their response was: Oh, they do have kids but those kids are adopted. Ummm...ok, no. I called them out on it and requested that they be extra careful with the terms they use when in front of my husband and kids. I'm pretty sure they got the point (if they didn't then, they will now!). Before you attack them, please know that they're not bad people, they're just from a different generation which never really had to deal with this issue as much as our generation does. They don't get the sensitivities that come with this generation where blended families have become the norm. While step-familes, adopted families, and all sorts of combinations of family arrangements are normal to us, it just isn't to them. It is a non-issue for them to refer to those people's adopted kids as "not their real kids". But it is absolutely an issue - a BIG ONE - and I'll tell you why. I didn't grow up in a blended family. My nuclear family is "intact" with two parents who are both "biological" parents to two children. That is not to say, however, that I have led a sheltered life. Growing up, a lot of my peers came from blended families. Some were a result of polygamous marriages, some from second/subsequent marriages, others still from adoption. Yet even as a kid, it was more natural for me to drop any prefixes when referring to non-biologically-related family members of my friends. "Hey S, your baby brother is so cute!" was always so much easier to say than, "Hey S, your half-brother from your dad's second wife is so cute!". It just made more sense to drop prefixes, I guess. Also, Daniel refers to Aqil and Afraz has his kids. He refers to all his siblings as his siblings. He does this because his step-kids are his real kids, and his step-siblings are his real siblings. One term does not negate the other. But one term is significantly more efficient and also more affectionate (the prefix "step-" does sound a little more impersonal, to Dan & I at least). So, if you're struggling with the terms you can and cannot use when talking to or about members in blended families, how can you avoid offending anyone? First of all: Be mindful. Educate yourself on the different terms - step, adopted, foster (in Malay: tiri, angkat, bela). Secondly, seek clarity on the different relationships and dynamics in the family by asking politely (if you are close to them) or just learning from their cues. For example, some people wouldn't take too kindly to you referring to their "stepmom who used to be their father's secretary but is now his second wife who also is only two years older than you", as their "mom". Just saying. Thirdly, never ever ever assume you know more about that person's relationship to their child/sibling/parent than you actually do. Just always remember that you don't get to define their relationship - they do. P.S: You'll always be my real awesome readers who I have adopted into my heart and mind for all time. xoxo.